Located in the Emperor Hotel, Emperor Court is the hotel’s namesake restaurant offering traditional Cantonese cuisine. Visit Emperor Court during breakfast and lunch to enjoy their dim sum, or opt for the hot pot experience offered during dinner times. Traditional a la carte Cantonese cuisine is available all day. Be sure to taste their Barbeque Pork Buns. Soft on the outside, juicy on the inside, they do not disappoint. If you visit for dinner, you must try the “Old Fire Soup.” The name refers to its broth, that’s been boiled slowly, over hours, to turn the ingredients into liquid deliciousness. 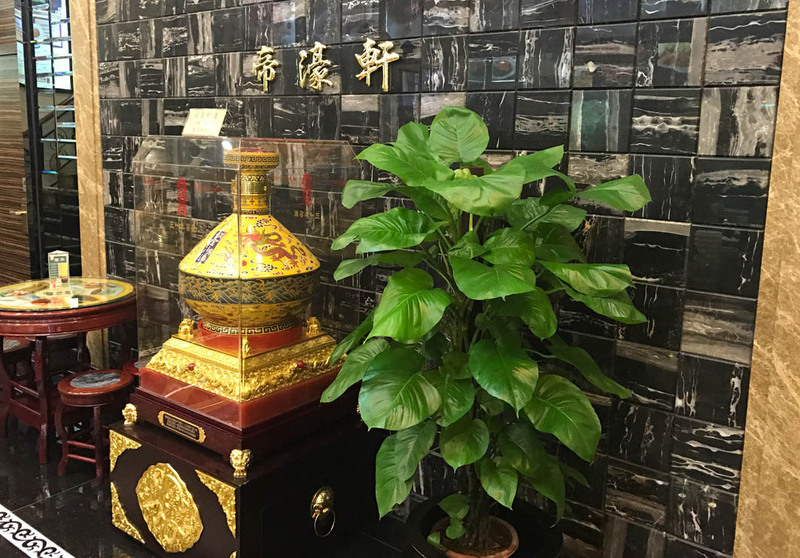 Other must-try dishes include their Signature Roasted Crispy Pigeon (88 MOP, $11 USD; whole); Pan-fried Pork Spare Ribs (80 MOP; $10 USD; regular); the Signature Pan-fried Chicken (148 MOP, $18.50 USD; half); Braised Shark’s Fin with Whelk and Chicken (1680 MOP, $210 USD; regular); Braised Mushrooms in Barbeque Sauce (88 MOP, $11 USD); Sautéed Thailand Mantis Shrimps with Spiced Salt (market prices); Alaskan King Crab (market prices); and, Australian Lobster (market prices).